Encore Music Academy’s faculty member, Ronald Hawkins has been nominated for the 2016 GRAMMY’s Music Educator Award. 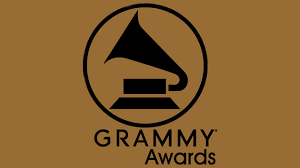 The Recording Academy, in partnership with the GRAMMY Foundation, created this award to bring attention and recognition to the teaching profession in general and to school music teachers in particular. Winners will receive an award along with a monetary grant. Additionally, one teacher will be selected to attend the Special Merit Awards Ceremony, the Annual GRAMMY Awards Telecast and other events during GRAMMY Week 2016 in Los Angeles, CA. Ronald Hawkins also serves on the piano faculties at The Conservatory for the Arts, Calvary Music School, and is the Arts Coordinator at Capital Prep Magnet School.